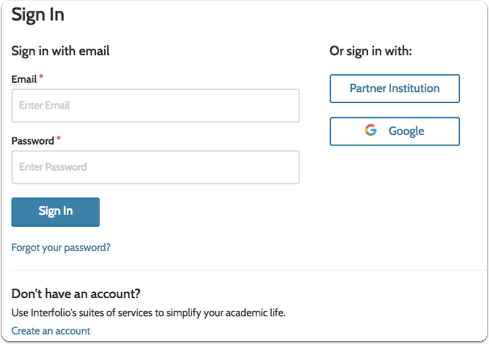 Many institutions have partnered with Interfolio, and are running their searches for jobs, grants, fellowships, and post-docs through our platform. 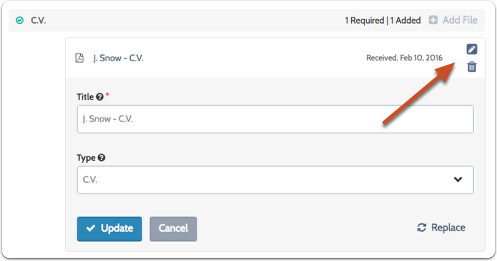 We call these opportunities, "Interfolio-hosted positions, and anyone can apply for free to Interfolio-hosted positions. 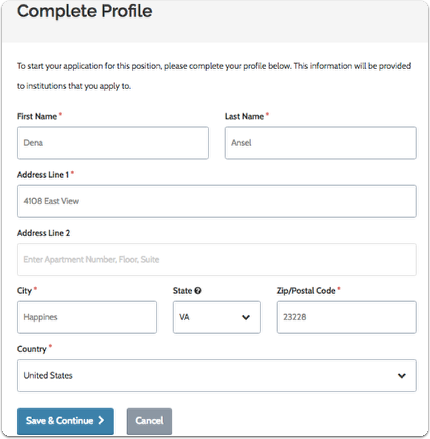 These applications do not count against the 50 annual deliveries that come with a subscription to Dossier Deliver. 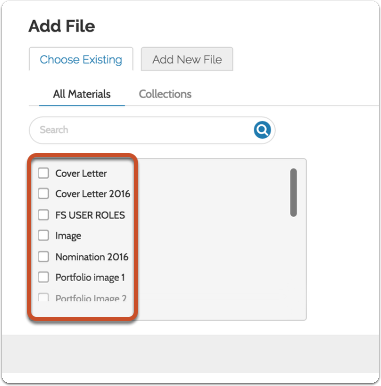 When applying for an Interfolio-hosted position, you will be uploading materials to your Dossier account. 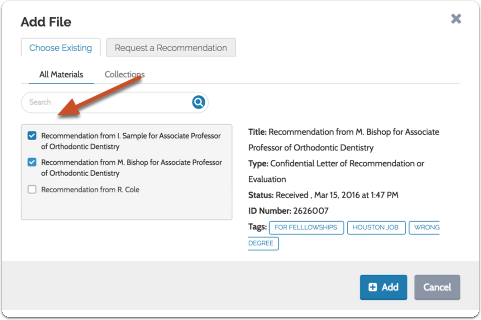 Remember, you can search for more opportunities from directly within our program , and with an upgrade to Dossier Deliver, you can use the application materials you've uploaded to your Dossier to apply to any position, even ones not in Interfolio. 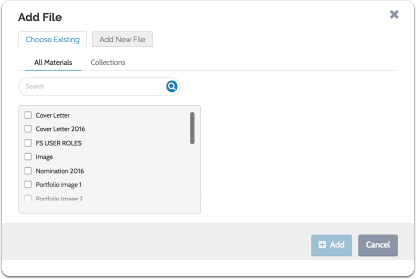 By upgrading to Dossier Deliver, In addition to external delivery of your materials, you will be able to share your materials and receive feedback from your reviewers. 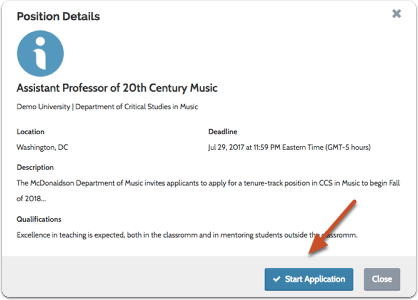 Click "Apply Now For Free"
If an institution is using Interfolio to run a search, there will be a link to apply on the announcement or ad for the position. 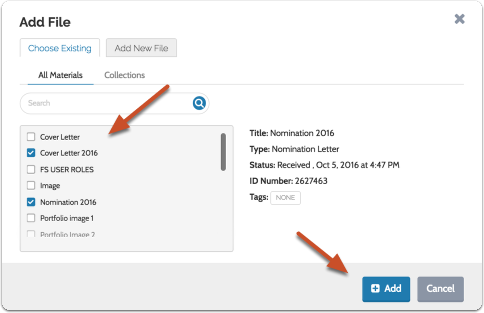 If you have not yet upgraded your account to include a Dossier Deliver subscription, you will be prompted to upgrade. 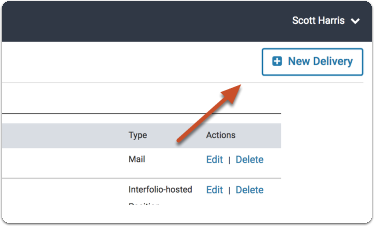 You can ignore the upgrade popup box and follow the instructions below to search for opportunities listed through Interfolio. 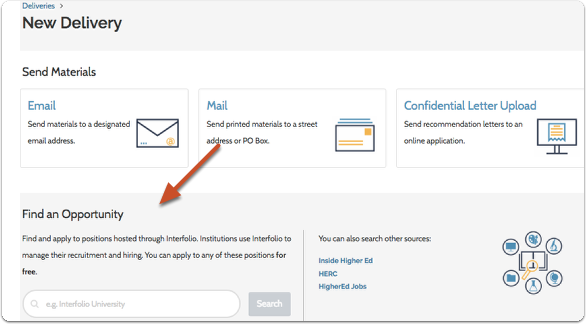 If you haven't completed a profile, you may be asked to complete your profile in order to apply to the Interfolio-hosted position. The information you provide will be shared with the institutions to which you apply. 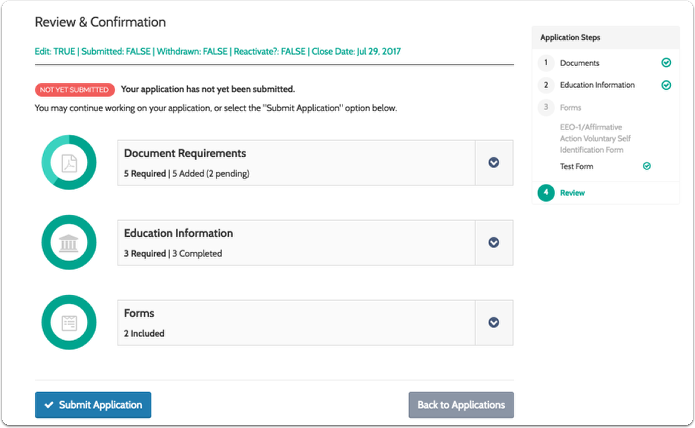 An overview of the application steps are listed to the right of the screen. 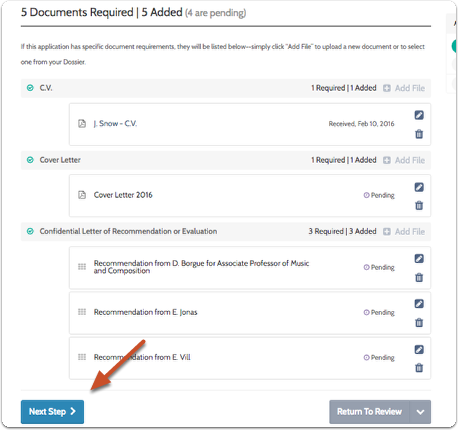 You will need to satisfy all document requirements before submitting your application (or all requirements for a section before submitting the section). 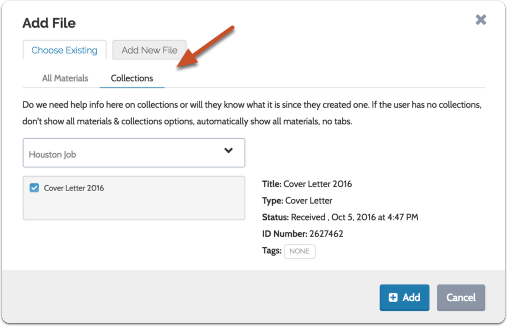 If you have already uploaded materials to your Dossier account they will show up in the drop-down list on the tab labeled "Choose Existing." 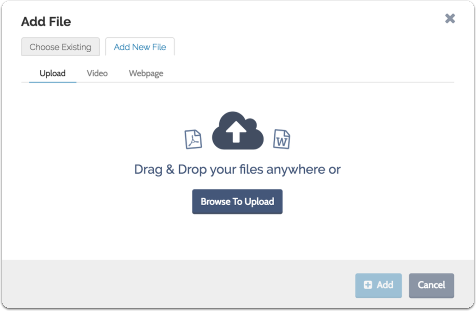 Select all the materials to include and click "Add"
You can also upload videos and link to webpages to include as part of your ByC application materials. 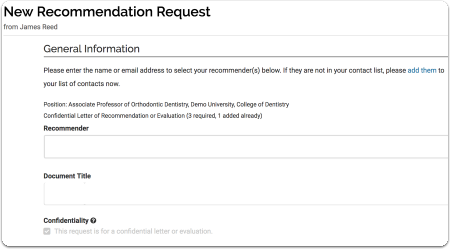 To use existing recommendations simply select them from the list and click "Add"
Your request will be sent to your letter writers along with instructions for uploading your letter. 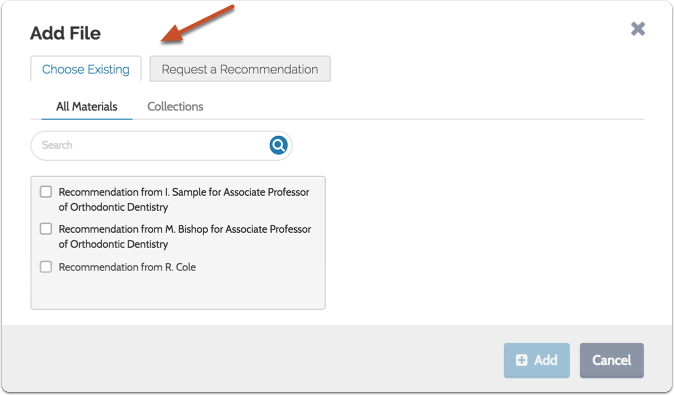 See the following article for more detailed information on requesting a recommendation through Interfolio. You request will appear with the status "Pending" until we receive it from your writer. 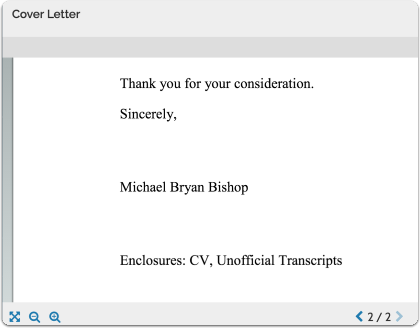 Note that to complete the requirement, you only need to have requested the letter. 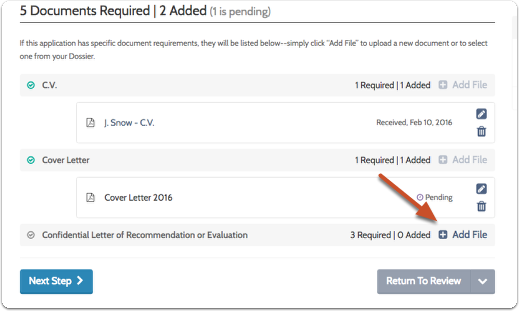 The requirement is considered complete when all required letters have been requested and/or added. The document will be removed from the application ONLY. A copy wil remain stored in your Dossier account. 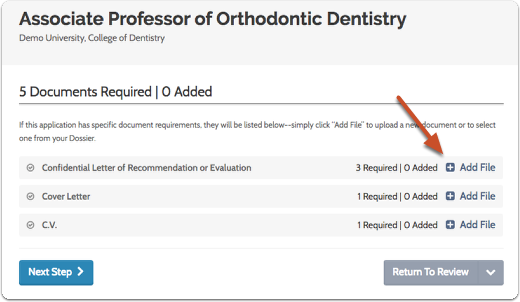 Select the highest degree you have earned, list the institution where you earned the degree, and the date you received the degree. 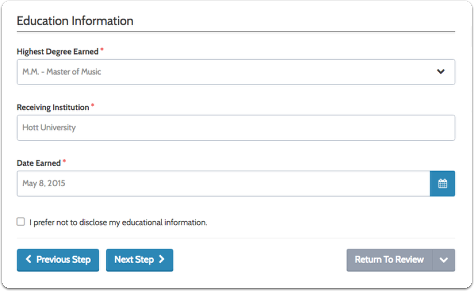 Simply fill out the form and click "Next Step" when you are finished. 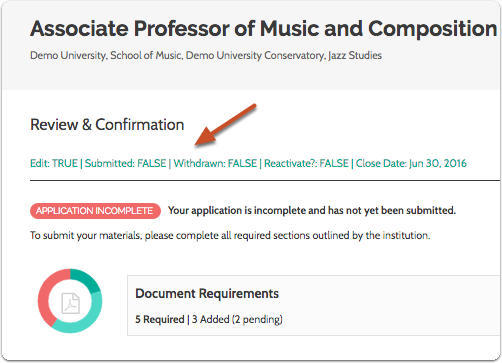 This row will tell you if the application can be edited, if it has been submitted, withdrawn, or reactivated, and lists the close date of the position. When all requirements are met, click to submit your application. 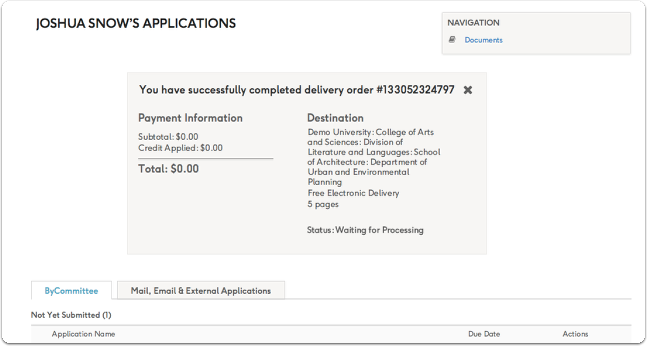 After submitting, you may review and track your application by signing in to your Interfolio account and navigating to your "Deliveries" page. 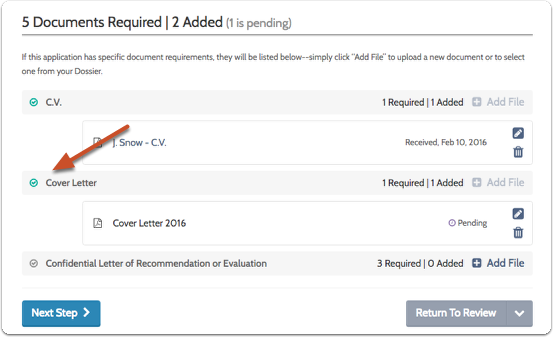 Remember, the materials you use when applying for Interfolio-hosted positions will appear in your Dossier, and you can use those materials for other applications!